Pilates Power brings Pilates to the everyday person. 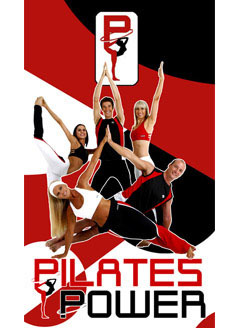 The daily, 30 minute program for early morning broadcast provides a clear understanding of the principles of the Pilates method together with a dynamic workout. Pilates Power is about movement, flow and energy. It is for men and women of all ages and caters to all fitness levels. The Pilates Power instructors safely lead viewers through an exciting and challenging workout, demonstrating easier and more difficult modifications for many of the exercises. Produced to a high energy routine, together with special FX and graphic overlays further explaining techniques on the fly, Pilates Power brings Australia's most dynamic Pilates instructors to the small screen with a daily high end exercise program that is a world first.